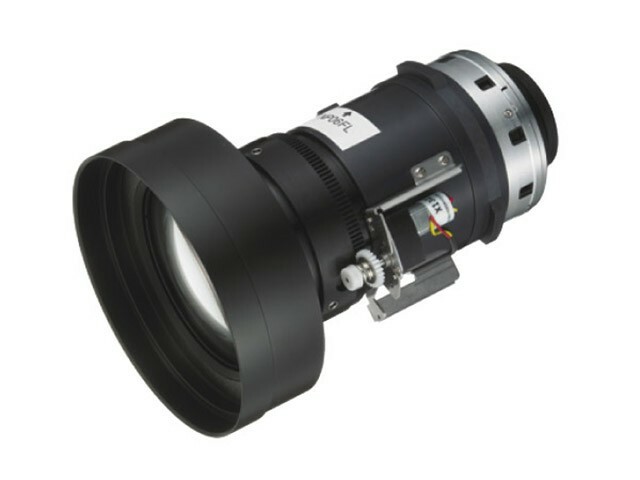 The NEC NP06FL is a power focus 1x short range fixed lens. It is one of five optional lenses available (in addition to the standard lens) for the NEC NP4000 and NP4100 LCD projectors to support a variety of specific installation environments, such as conference rooms, halls and exhibitions. The lens is easily installed by end users and doesn't require any special tools.